Mealtime with toddlers can be messy. 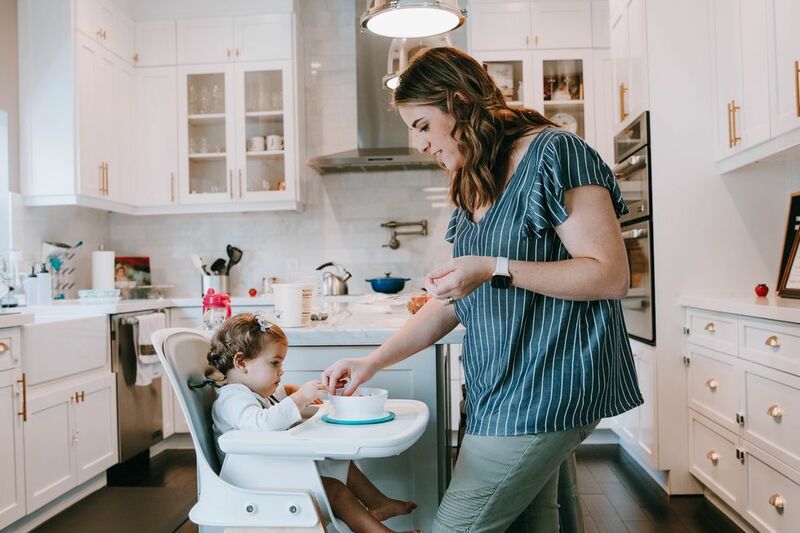 Whether you're introducing a new (and, in a toddler's eyes, questionable) ingredient or simply trying to fill up those little bellies before bed, things don't always go according to plan. In our home, what's on the menu is often met with a fair amount of resistance (broccoli, meet threenager...threenager, this is broccoli), and occasionally it even meets with the floor—or ceiling. My husband and I try to enforce a strict "no plate pushing!" rule at dinner, but we can't always keep up with a sassy toddler's lightning reflexes. More than once, the dinner I had prepared met an untimely end as it slid off the counter or table. Oh, butternut mac and cheese...we hardly knew ye. When my toddler tried to resist a new recipe served in her Stick & Stay plate, she was shocked to find the plate didn't slide the way others had. Distracted by the plate's tantrum-proof superpowers, she even eventually ended up taking a few bites of her lunch without too much fuss. The Stick & Stay dinnerware comes in a plate, bowl and a divided plate, meaning no matter what you serve, you'll have the right platter. The divided plate is especially helpful if your little one likes to keep each ingredient separate, or if you're serving up a deconstructed version of an adult dinner. 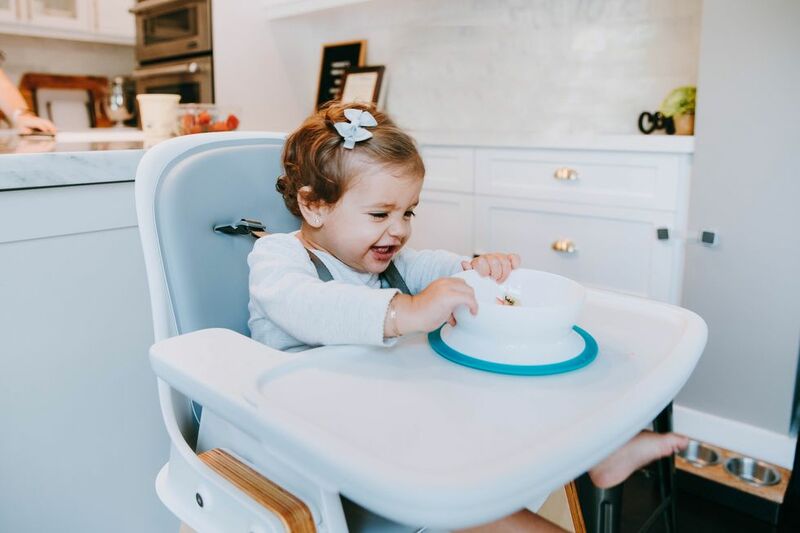 We also love the bowl with its side walls that are perfect for scooping, encouraging our independent girl to tackle self-feeding with confidence. And when it's time to clean up, simply twist off the suction base and put both pieces in the dishwasher. Take that, mess. Want to stick it to your own messy mealtime? OXO's Stick & Stay plates and bowls are each $9.99 and available at OXO.com.